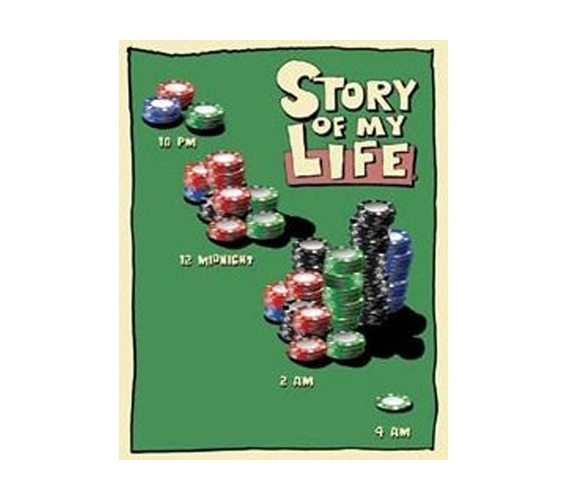 Hopefully that when you graduate college, you'll use that degree to ensure that the situation on this Poker Chips Life Story Tin Sign doesn't actually occur. 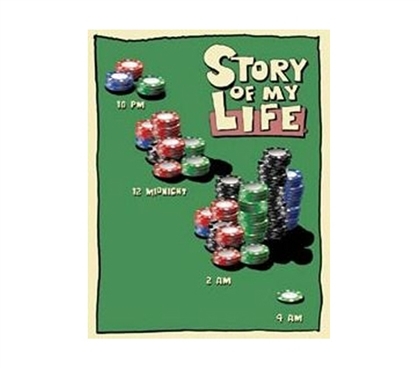 But, if you're a poker fan or just looking to add some funny dorm stuff to your inventory of college products, include this dorm room tin sign as part of your wall decor for dorms. The college supplies out there that can add a bit of humor to dorm life are all the better, and last time we checked, though they have some highly useful ones, we haven't seen any funny dorm cooking supplies or funny dorm closet shelves. So, it's up to your college decor to fill that role. And you can do that easily by adding college tin signs to your stock of unique dorm items.